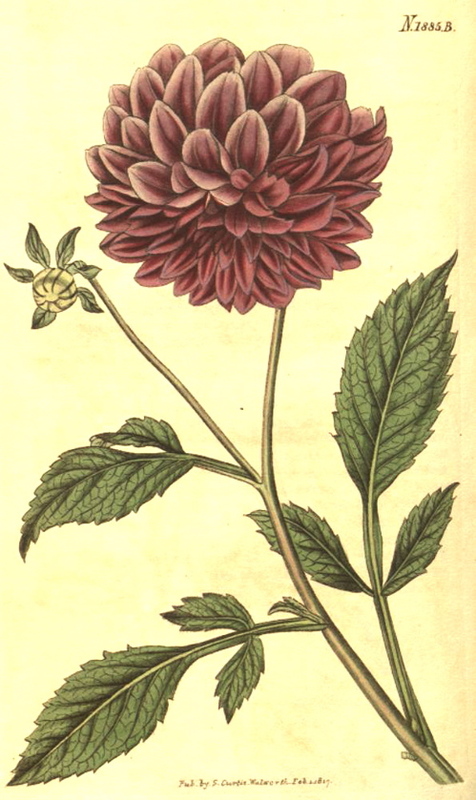 Many sources state that the name "Dahlia" was bestowed by the pioneering Swedish botanist/taxonomist Carl Linnaeus to honor his late student, Anders Dahl (author of Observationes Botanicae). However, Linnaeus died in 1778, more than 11 years before the plant was introduced into Europe in 1789. So, while it is generally agreed that the plant was named in honor of Dahl, who had died two years before (re: Stafleu, F. A.; Cowan, R.S., Taxonomic literature, vol. 1: A-G - Utrecht, 1976) Linnaeus could not have been the one who did so. It was probably Abbe Antonio Jose Cavanilles, Director of the Royal Gardens of Madrid, who should be credited with the attempt to scientifically define the genus, since he not only received the first specimens from Mexico in 1789, but named the first three (3) species that flowered from the cuttings. The third plant, Dahlia coccinea for its scarlet colour. ~1805 several new species were reported with red, purple, lilac, and pale yellow colouring, and the first true "double" flower was produced in Belgium. 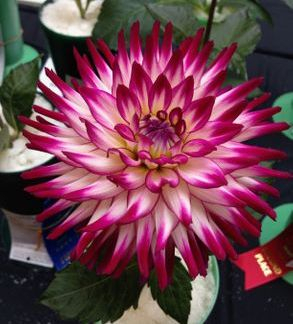 One of the more popular concepts of dahlia history, and the basis for many different interpretations and confusion, is that all the original discoveries were single flowered types, which, through hybridization and selective breeding, produced double forms. Like "doubles" of the time it did not resemble the doubles of present today. 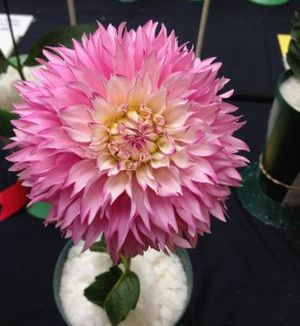 Since 1789 when Cavanilles first flowered the dahlia in Europe, there has been an ongoing effort by many growers, botanists and taxonomists, to determine the development of the dahlia to modern times. At least 85 species have been reported: approximately 25 of these were first reported from the wild, the remainder appeared in gardens in Europe. Constant reclassification of the 85 reported species has resulted a considerably smaller number of distinct species, as there is a great deal of disagreement today between systematists over classification. 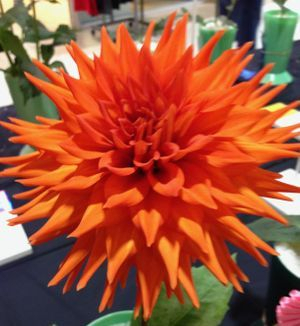 Dahlias are found in numberous forms and vivid colours around the world. There are over ~30 species, 20,000 cultivars. 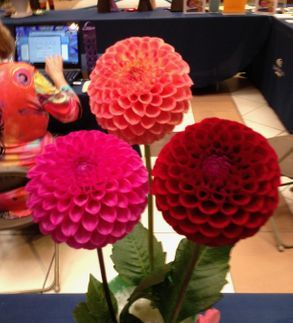 Dahlias flower from July to first frost in the Southwest coast of British Columbia and the United States. 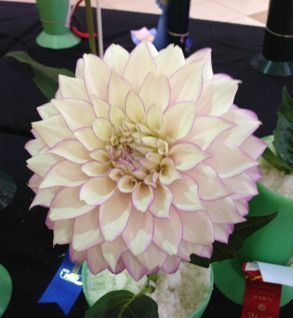 As a subtropical plant dahlias can not withstand sever winters. Tubers must be dug out and stored or plants should be grown as annuals.